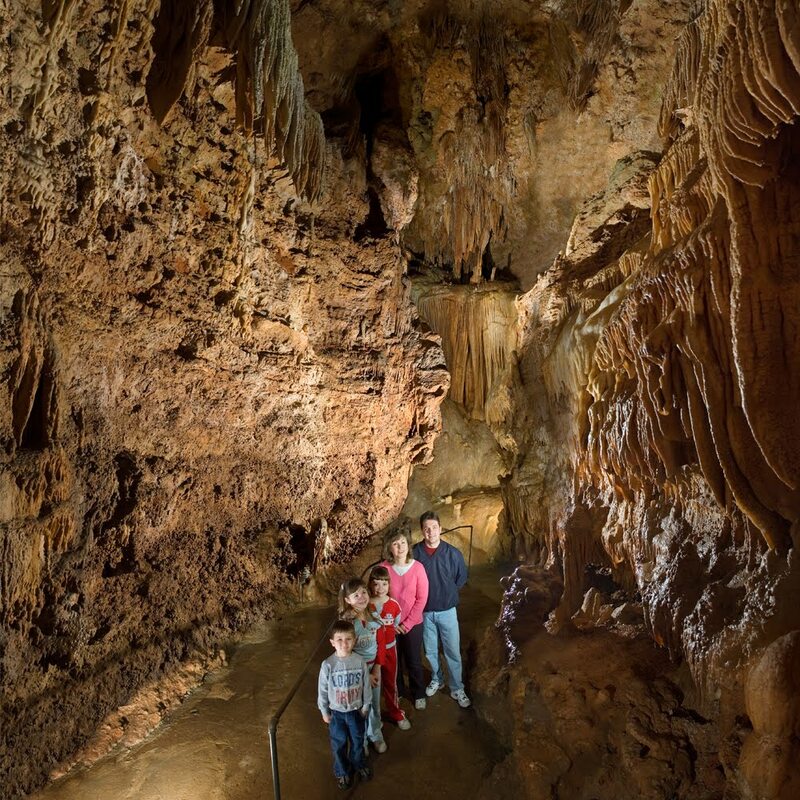 To qualify to win a free Family Pass, which will admit 2 adults and 2 children into Bridal Cave, you must "like" our Facebook page. 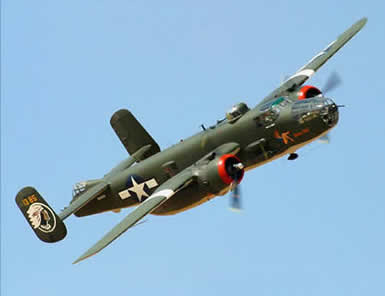 We utilize Facebook to share fun content about our family attraction at the Lake of the Ozarks. 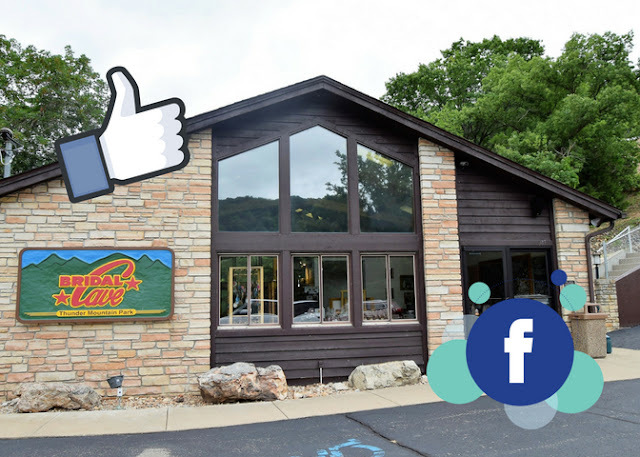 By liking our page you will qualify for our giveaway and stay up to date with the latest happenings here at Bridal Cave and the Lake of the Ozarks Area. Be sure to check back in on our Facebook page every Friday because that's how you will know if you're one of the lucky winners! We will announce seven winners every Friday throughout the Summer. We will announce the last seven winners on August 31st. Enter Our 70 Days of Summer Giveaway! So what are you waiting for? 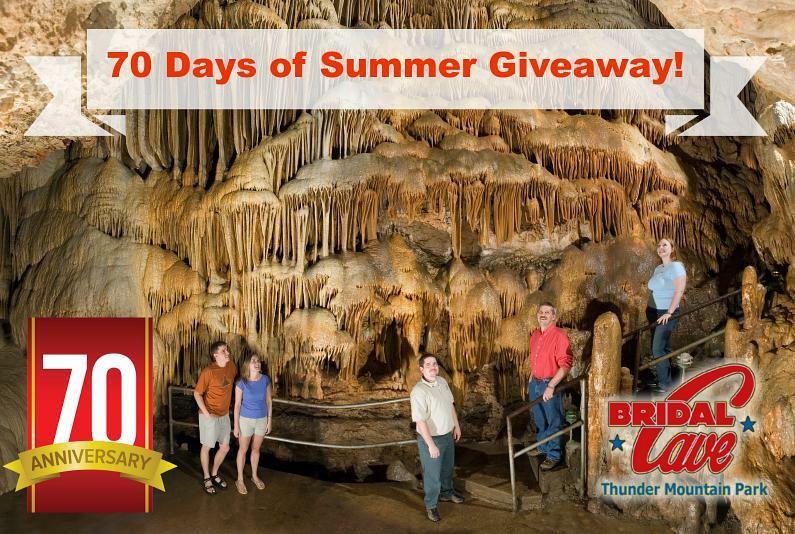 Go enter our 70 Days of Summer Giveaway for your chance to win a Family Pass to our cave at the Lake of the Ozarks! From all of us at Bridal Cave, we can't thank our guest enough for supporting us over the past 70 years. 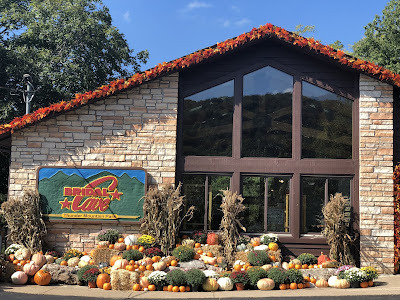 Every one of you whether you've gotten married here toured our cave or visited the park, YOU have helped make Bridal Cave into the success it is today. So join us in our celebration of 70 years in business by entering our 70 Days of Summer Giveaway, good luck! 4th of July Fun at the Lake of the Ozarks! Check Out Our Weather Station at Bridal Cave!